This month has involved lots of miles on several different motorcycles, once again underlining that, for me, diversity is the spice of life. From my annual jaunt to the Irish rally, to a couple of club runs, as well as shows and visits, it has been a fairly frantic spell, where, as always happens, I realise my ability to become enthused about any old motorcycle is seemingly unbounded. 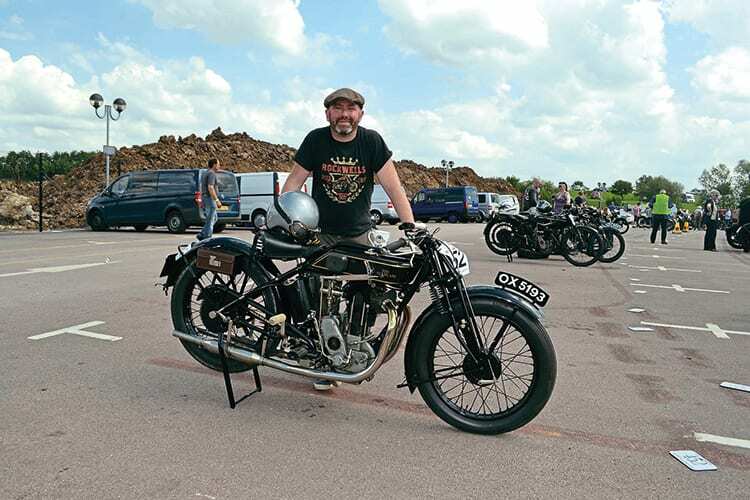 My 350cc side-valve Sunbeam had a moment in the limelight, and I duly decided that was all any classic enthusiast could want – until I borrowed dad’s 500cc ohv flat-tank AJS and decided that, actually, was the epitome of old motorcycling, and I’d really, really like one of them. A day out on another of dad’s stable, this time his 1966 MSS, made me realise that I actually love riding big Velocette singles too and having rear suspension can be a comforting experience. This month I’ve also ridden several V-twins (ranging from a 1925 Zenith to a new Aprilia), been to hang around at the National Motorcycle Museum to look at the fore-and-aft Brough twins (and predictably become all enthused about William Brough’s products) and journeyed to Kop Hill Climb, where I was thrilled to see Nigel Hewitt’s ohv Blackburne-engined Neracar; I’ve never seen another with that engine, but as it’s thought the Hewitt family example is the only one, that’s hardly surprising. Just along from the Neracar we had an unofficial meeting of the (unofficial) Rex-Acme owners’ club, with I think half a dozen of us Rex-Acme custodians converged around Tony Heyworth’s example, making excited plans to bring together as many of the Coventry-built marque as we can… Obviously, buoyed by my Brough reunion a few days before! So what’s the resolution of all my musings and considerations? As usual, very little! Though I have decided to get a bit ‘hands on’ over winter – I’ve a Velo Viper engine lurking on a shelf, that really wants something doing to it; that might be first – plus a few other bits and pieces are coming back/together, so that perhaps we can progress with some of the other projects too… There’s only one or two riding events left (the NMM’s Model 90 will be getting an outing at a pre-31 run in Norfolk in early October, for example) then Stafford, the classic NEC, and, then, that’s pretty much it for 2017. Blimey, where’s another year gone?